It was so hot in there the kittens were panting. It was over 100 degrees the day a car pulled up to the Southeast Volusia Humane Society in New Smyrna Beach, Florida. When the driver and passenger got out, they carried a plastic storage tote. They’d found kittens in their neighborhood, the people said, and they wanted to bring them here. 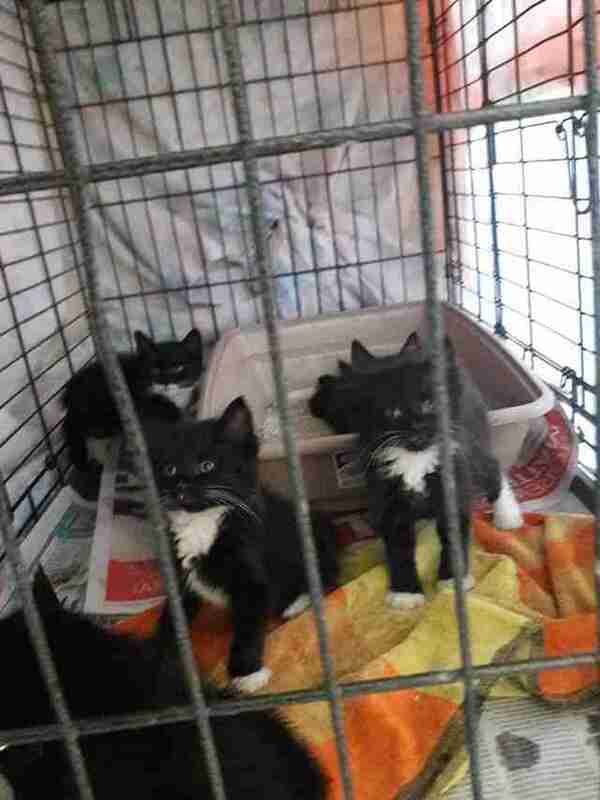 Inside were nine panting tuxedo kittens — and none of them were doing well. 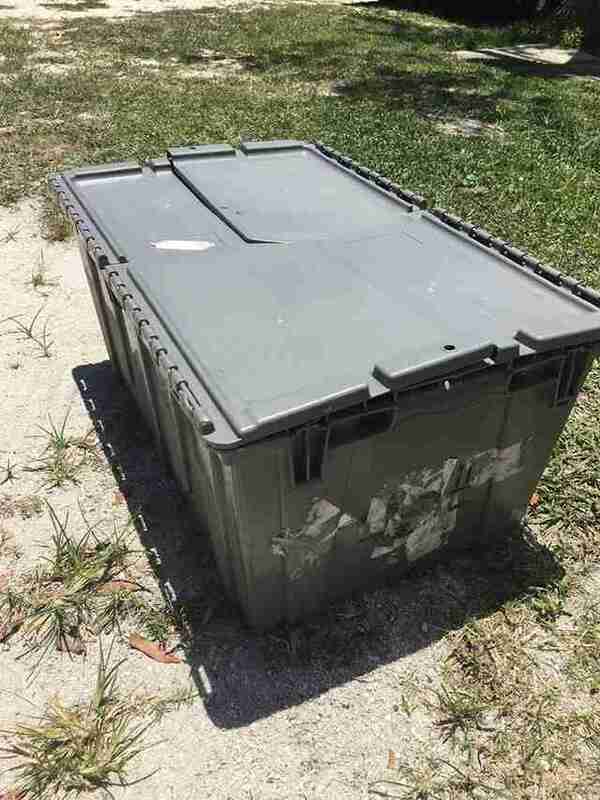 Morgan suspects they were in the container, which didn’t have air ventilation, for at least an hour. “It is really meant for shipping — it’s not meant for anything that’s alive,” she said. 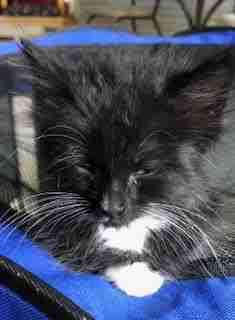 To make matters worse, the kittens had been driven in a car with a black interior, which may have made them feel the heat even more. As the result, the kittens were dangerously overheated. In fact, Morgan believes they were minutes from death. 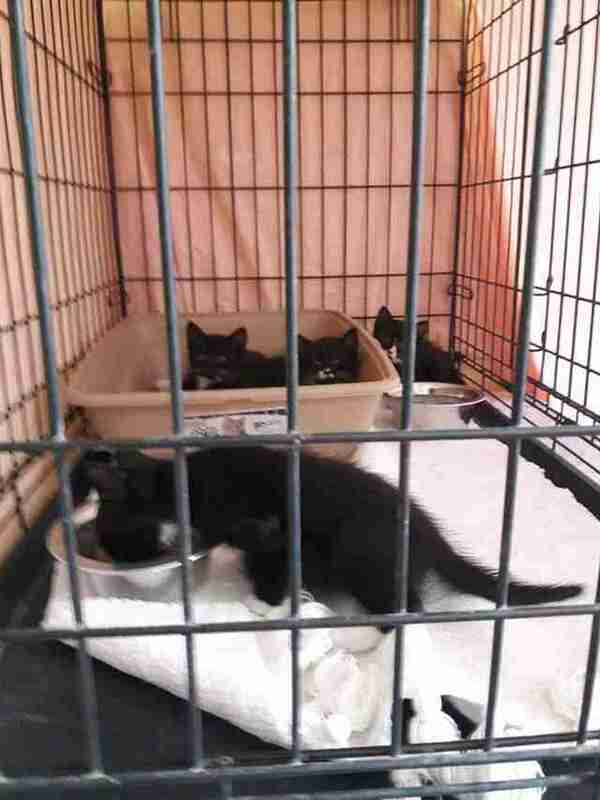 Everyone at the shelter rushed to help the kittens. Each kitten was wrapped in a wet towel and closely monitored. 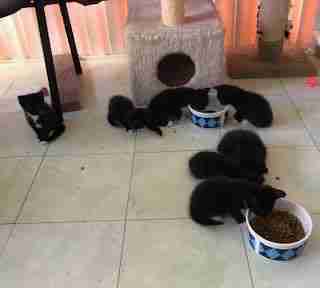 Thankfully, all nine kittens cooled down — and stabilized. The shelter itself was actually full, so Morgan arranged for the kittens to go home that night with a foster mom, Jan Wenger. Despite everything they’ve been through, the kittens love being around people, Wenger explained. The kittens have also gotten names. 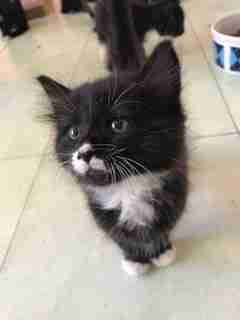 In a few weeks, the kittens will be up for adoption. If you’re interested in giving any of them a forever home, contact Southeast Volusia Humane Society. You can also help pay for their care by making a donation.